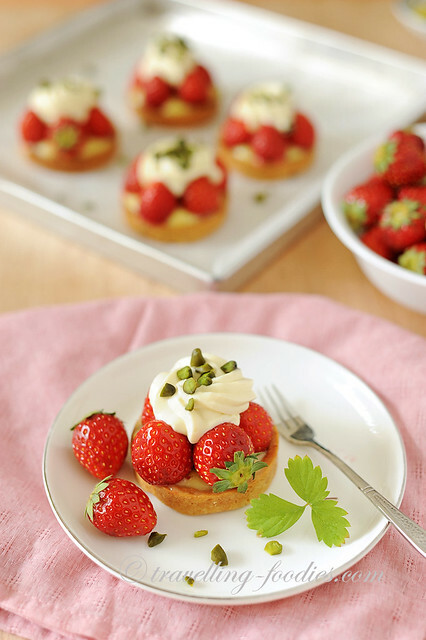 Japanese strawberries are the best to work with in pastry making. We used to get French gariguettes here in our local supermarkets but I’d not seen them for the longest time. No demand probably… And of all the Japanese varieties I’d seen and eaten before, Tochiotome are the ones I love to use. They are not the sweetest around but definitely the cutest. I’d seen some folks use those Awayuki Shiro Ichigo or those of Nara Lab for their pastry making but honestly, that is an overkill. Such precious strawberries should be eaten fresh. 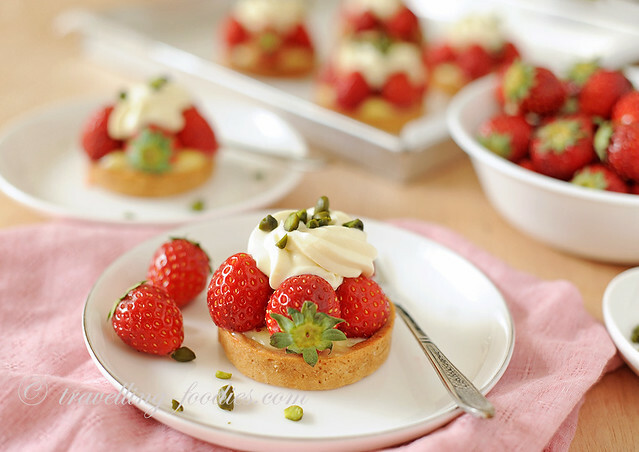 The use of fresh strawberries over the classic french lemon tart might sound odd to some folks. Truth be told, I first had it at the famous Japanese patissier Sadaharu Aoki’s dessert boutique at Midtown Tokyo a couple of years back when strawberries were in season and he married the two components together. Weird it might sound, I enjoyed the tart alongside another piece call Fraisier quite a lot then. I recreated Fraisier 2 years back and doing so to the French lemon tart now. 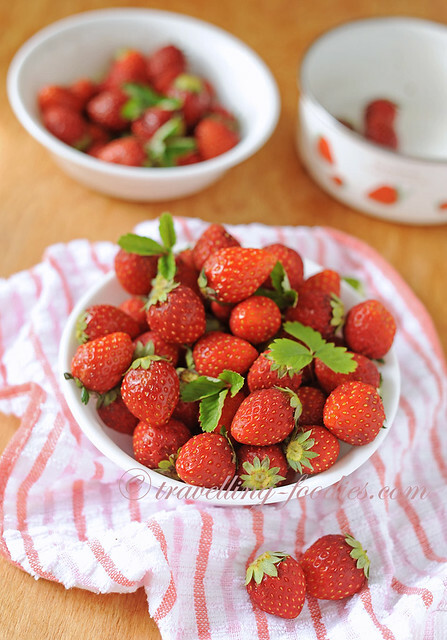 Tochiotome are some of the smallest strawberries I’d encountered making them ideal for pastry making. We don’t get fraise des bois here in Singapore which would otherwise be even better so these fellas from Japan would have to do. 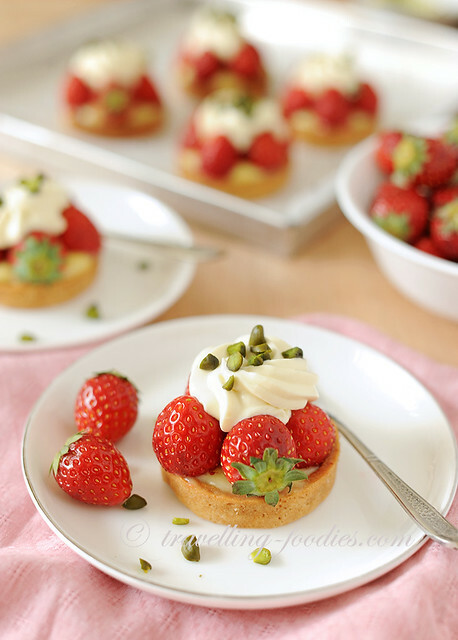 One needs to go through the strawberries and select the evenly sized ones to make sure that the tart looks uniform. Other then that, it is a fairly straightforward process for the making of the tarte au citron and assembling everything together. The tart comprise of basically 4 components, i.e. 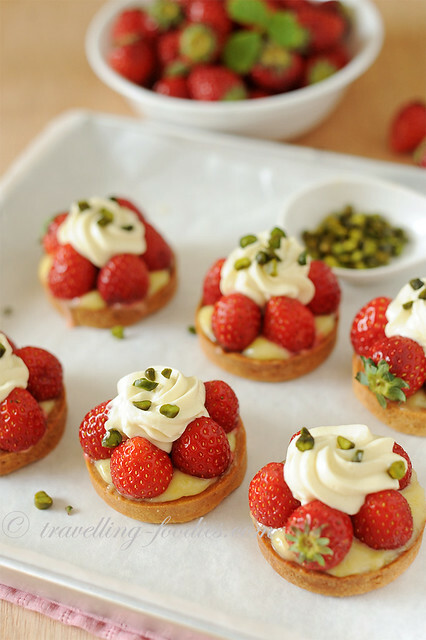 the pate sucree base, the creme au citron, the fresh strawberries and a dollop of creme chantilly on top. The idea is from Aoki’s creation but he had a layer of praline feuilletine lining the insides of the sweet tart shell which I skipped. Also he uses creme diplomat while I used creme chantilly instead. Oh and he embellishes the top of the cream with half a roasted hazelnut but I didn’t have any at home at that time so I traded off with chopped Sicilian green pistachios instead. For the recipe, I’d use Cedric Grolet’s pate sucree recipe for the base which I love. It is by far the best recipe I’d used. All I need to do now is to perfect this perfect recipe. The lemon curd recipe is Aoki’s which keeps well for a short time at room temperature. Creme chantilly is basically just freshly whipped double cream with at least 35% fat, whisked with 20% by mass of icing sugar. I am not sharing the recipes from their books due to copyright and intellect property issues but if you are serious about pastry making, I would strongly encourage that you get them. Caveat emptor, they are written in French and Japanese respectively. This entry was posted on April 20, 2018 by Alan (travellingfoodies). 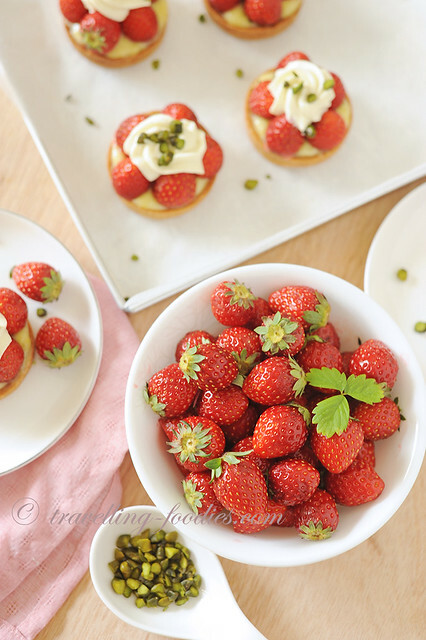 It was filed under Food, Simple Eats and was tagged with creme chantilly, french pastry, fruit tart, ichigo, japanese strawberries, lemon tart, sadaharu aoki, strawberry, strawberry tart, tart, tarte citron.